Body contouring isn’t one procedure, but rather, it’s a term that describes several procedures performed in one or more stages, to improve the shape and appearance of the torso (breast, abdomen, back, buttocks), arms, and legs. Often, patients decide to undergo body contouring after they have lost a significant amount of weight. Women who have experienced unwanted changes to their body after having children also will receive body contouring procedures in what is referred to as a mommy makeover. While they will make you look slimmer and leaner, it’s important to note contouring procedures are not weight loss surgeries - they are intended to improve the shape or appearance of various parts of the body after a patient has reached their ideal weight, either through weight loss surgery or lifestyle changes. If you've recently undergone (or are currently undergoing) a weight loss journey, congrats on this major step toward a healthier, more active life. Unfortunately, after any substantial amount of weight loss - whether due to weight loss surgery or lifestyle changes, many people find that their skin and tissues lack the elasticity to conform to their newly reduced body size. Although they are pleased with their weight loss, they still struggle with self-esteem issues and can feel discouraged from continuing their healthy habits. Luckily, there is a surgical option to remove the excess skin and fat and repair problematic muscle tissues. When done in combination, body contouring procedures - including abdominoplasty, liposuction, breast lift, and others - remove the excess skin and other concerns commonly seen in weight loss patients. Due to safety concerns, these procedures are frequently performed in stages (to maintain safe limits of time under anesthesia, blood loss etc.). Obesity changes the quality and dynamics of muscle tissues, fat, and skin. As we gain weight, our skin stretches, stretch marks form, and our muscles weaken. Increased fat in the intra-abdominal area in particular leads to a separation of muscles in the midline, which can be especially pronounced in women who have experienced pregnancy. If the weight loss is more rapid than gradual (like in patients who have undergone a weight loss surgery), you might end up with skin that stretches and hangs over your abdominal area or on your arms or legs. The presence of scars from previous surgeries may limit some options. The procedure(s) should also be postponed if an active infection is present. The purpose of your consultation with Dr. Majewski is to evaluate whether you are a candidate for surgical body contouring and to develop a treatment plan that will help you achieve your goals. It's very important to understand all aspects of your body contouring procedure. It's natural to feel some anxiety, whether it's excitement for your anticipated new look or a bit of preoperative stress - or both. Don't be shy about discussing these feelings with Dr. Majewski. The cost of body contouring procedures vary depending on the extent of your surgery, and whether you decide to undergo other procedures at the same time. The cost of your procedure will include anesthesia fees, surgical facility costs, medical tests, post-surgery garments, prescriptions for medications, and the surgeon’s fee. When choosing a board certified plastic surgeon for body contouring, remember that the surgeon’s experience and your comfort with him or her are just as important as the final cost of the surgery. Most health insurance does not cover body contouring, but we do offer CareCredit for all cosmetic procedures. You can request a price quote on our Payment Options page. 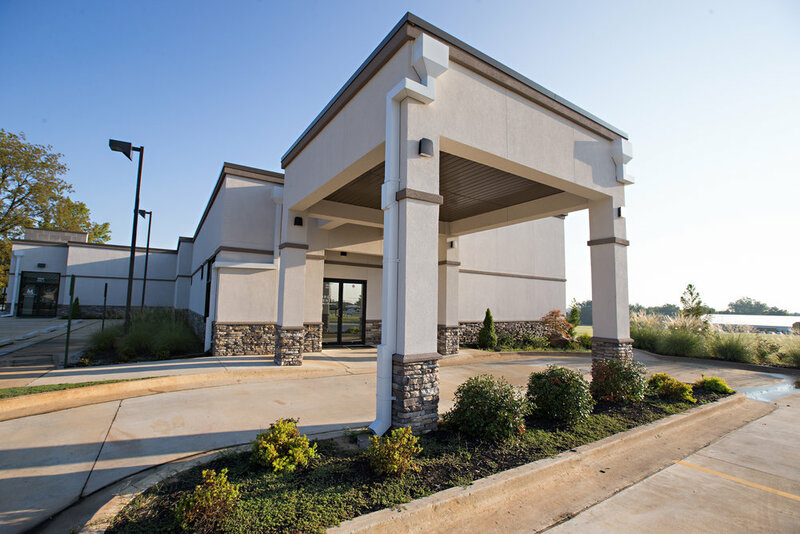 Most of Dr. Majewski’s body contouring cases will take place at our state-of-the-art Surgery Center at the Reserve, located conveniently right next door to our clinic. Body contouring procedures are typically performed under general anesthesia for your safety and comfort. Medications are also administered for your comfort before and during the surgery. Dr. Majewski will explain what to expect from anesthesia. You’ll want to make arrangements for someone to drive you to and from surgery, and stay with you for the first night at least - but ideally, for the first few days following surgery so that you do not have to overexert yourself. You should be able to return to work after a week or two (depending on the extent of your procedure), provided that your work is not physically demanding. Dr. Majewski will give you a more customized recovery timeline during your consultation. Most patients are eager to see their results as quickly as possible - which is understandable! Body contouring procedures can make a dramatic difference in both your appearance and your self-image. Be patient with your body, and focus on taking care of yourself. You’ll be debuting your new look in no time! Until then, focus on doing everything you can to recover fully. Follow Dr. Majewski’s instructions closely to ensure best results and a speedy recovery. It's important that your surgical incisions are not subjected to excessive force, swelling, abrasion or motion during the time of healing. These are trade-offs, but most patients feel these are small compared to the large improvement in their self-confidence after surgery.